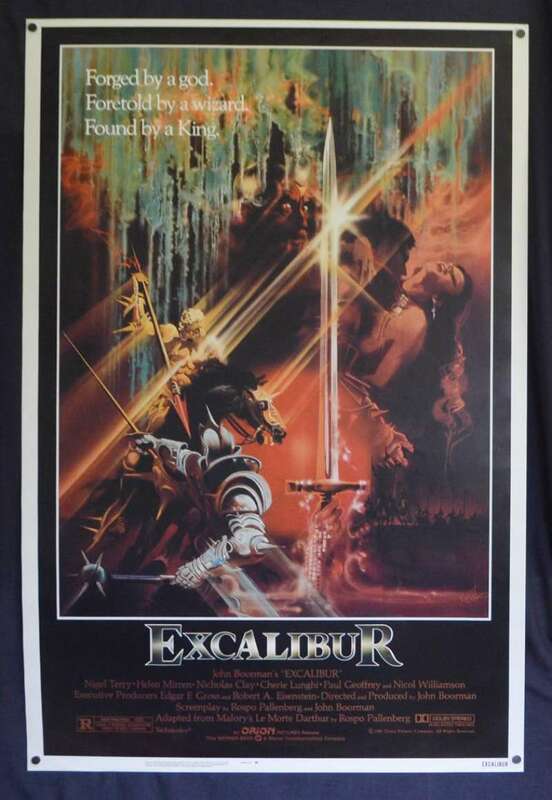 Excalibur is a 1981 American epic fantasy film directed, produced, and co-written by John Boorman that retells the legend of King Arthur and the knight’s of the Round Table, based on the 15th-century Arthurian romance Le Morte d'Arthur by Thomas Malory. It stars Nigel Terry as Arthur, Nicol Williamson as Merlin, Nicholas Clay as Lancelot, Cherie Lunghi as Guenevere, Helen Mirren as Morgana, Liam Neeson as Gawain, Gabriel Byrne as Uther Pendragon, Corin Redgrave as Cornwall, and Patrick Stewart as Leondegrance. The film is named after the legendary sword of King Arthur that features prominently in Arthurian literature. Excalibur was shot entirely on location in Ireland, employing Irish actors and crew. It has been acknowledged for its importance to the Irish filmmaking industry and for helping launch the film and acting careers of a number of British and Irish actors, including Liam Neeson, Patrick Stewart and Gabriel Byrne. Film critics praised the film for its visual style. Excalibur opened at number one in the United States, eventually grossing $34,967,437 on a budget of around US$11 million. Comments: Stunning reproduction of the original artwork.